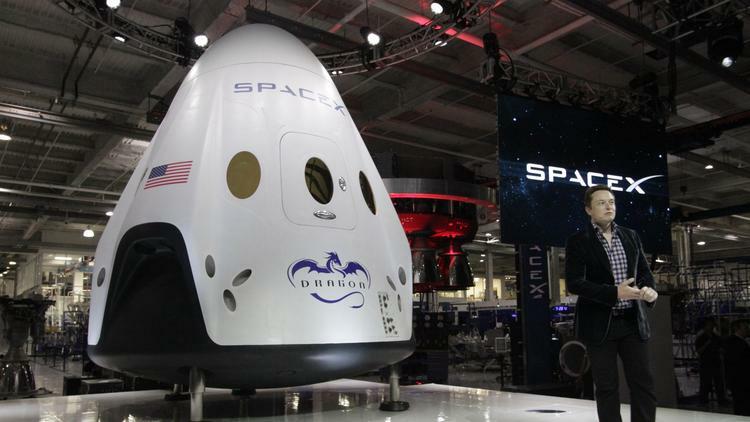 Late last week, Tesla and SpaceX founder Elon Musk unveiled his latest project, the Dragon V2. The Dragon V2 is a small, cone shaped spaceship that will ferry NASA astronauts and equipment back and forth from the international space station. It is expected to be in use by the end of 2016. The Dragon V2 is making news for being the first spaceship capable of multiple trips in and out of orbit. This is made possible through propulsion and other technology that allow a slow re-entry into earth’s orbit. According to Musk, it will have the precise landing capability of a helicopter. The new SpaceX spaceship is capable of holding up to 7 people and stands only 15 feet tall, extremely small when compared to rockets of the past. However, it still carries the wallop that is needed to fire up into space. This is made possible through a recently unveiled Superdraco engine that provides 16,000 pounds of thrust. All of this is huge news for the United States. It was just in 2010 that the United States government pushed to make space travel part of the private sector. Not surprisingly, the first few years of this transition was rough, and space race rival Russia was quickly becoming the top dog, charging 72 million dollars per seat on the International Space Station. Now, however, with Elon Musk leading the charge, the future has never been brighter. As we all know, the private sector has always been far more capable of innovation than the government. The Dragon V2 is just another example of this. This entry was posted in Culture and tagged Elon Musk, international space station, mars, NASA, russia, space, space race, space ship, spacex, The Dragon V2. Bookmark the permalink.